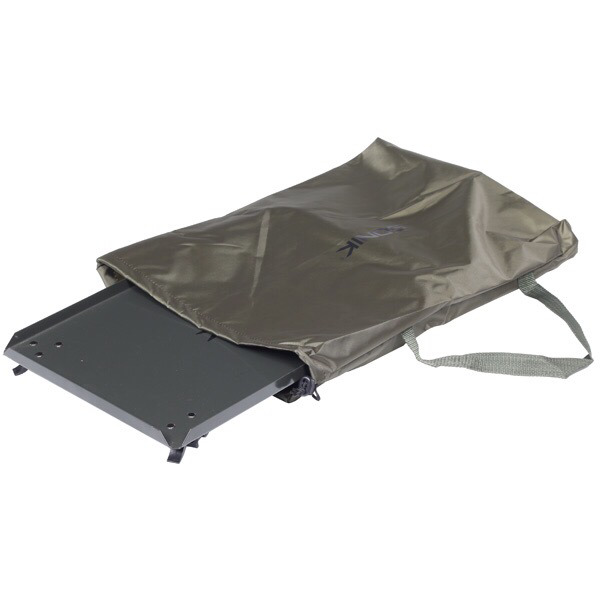 Strong and light, the SK-TEK Bivvy Table features a carpy green top with useful raised edges. Sturdy, positive locking adjustable legs with cam lock mechanism and non-slip rubber feet. Easy to pack down flat and store in your folded chair or bed.